^ Allen, The Port Chicago Mutiny, 130–133. ^ Allen, The Port Chicago Mutiny, 133. ^ Center of Military History, Washington DC. Morris J. MacGregor, Jr. 1985. "World War II: The Navy. A Segregated Navy" in Integration of the Armed Forces 1940–1965. Retrieved on March 5, 2009. ^ Wagner et al., The Library of Congress World War II Companion, 295. ^ Allen, The Port Chicago Mutiny, 35–36. ^ Bell, Naval Mutinies of the Twentieth Century, 198. ^ History.com. Black History. The Port Chicago Mutiny. Retrieved March 5, 2009. ^ Allen, The Port Chicago Mutiny, 32. ^ a b Allen, The Port Chicago Mutiny, 41. ^ a b c d e f U.S. Navy Historical Page. Frequently Asked Questions. "Port Chicago Naval Magazine Explosion on 17 July 1944: Court of Inquiry: Finding of Facts, Opinion and Recommendations, continued...". Page 4a. Retrieved on December 17, 2008. ^ a b Allen, The Port Chicago Mutiny, 52–53. ^ a b Allen, The Port Chicago Mutiny, 44. ^ Astor, The Right to Fight, 264. ^ a b c Allen, The Port Chicago Mutiny, 109. ^ Allen, The Port Chicago Mutiny, 45. ^ a b c d e Bell, Naval Mutinies of the Twentieth Century, 201. ^ Allen, The Port Chicago Mutiny, 42. ^ Allen, The Port Chicago Mutiny, 25. ^ Allen, The Port Chicago Mutiny, 26. ^ Allen, The Port Chicago Mutiny, 26–27. ^ a b National Park Service. Port Chicago Naval Magazine National Memorial. "Frequently Asked Questions". Retrieved on March 5, 2009. ^ Allen, The Port Chicago Mutiny, 46. ^ Allen, The Port Chicago Mutiny, 51. ^ Allen, The Port Chicago Mutiny, 45–46. ^ United States Coast Guard. Oral History. "James S. Gracey interview #2, February 28, 2001" (PDF). pp 86–87. Retrieved on December 18, 2008. ^ a b c d e f g U.S. Navy Historical Page. Frequently Asked Questions. "Port Chicago Naval Magazine Explosion on 17 July 1944: Court of Inquiry: Finding of Facts, Opinion and Recommendations, continued...[リンク切れ]". Retrieved on December 17, 2008. ^ a b c Allen, The Port Chicago Mutiny, 57. ^ Allen, The Port Chicago Mutiny, 56. ^ Navy Historical Center. Frequently Asked Questions. "Port Chicago Naval Magazine Explosion, 1944". Retrieved on December 8, 2008. ^ Allen, The Port Chicago Mutiny, 63. 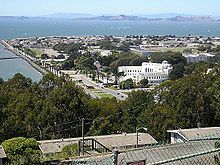 "Seismograph machines at the University of California at Berkeley recorded two jolts with the force of a small earthquake. They occurred about seven seconds apart shortly before 10:19 p.m."
^ Allen, The Port Chicago Mutiny, 65. ^ U.S. Navy Historical Page. Frequently Asked Questions. 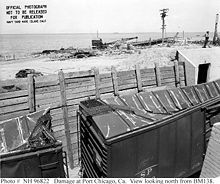 "Port Chicago Naval Magazine Explosion on 17 July 1944: Court of Inquiry: Finding of Facts, Opinion and Recommendations, continued...". Retrieved on December 17, 2008. ^ Jones, Disasters and Heroic Rescues of California, 93. ^ United States Coast Guard. History. Small Boat Personnel Who Gave Their Lives in the Line of Duty. The Coast Guard personnel who died: Broda, Peter G. SN1; Degryse, William G. MM1; Portz, Edward J. MOMM3; Riley, Charles H. SN1; and Sullivan, James C. SN2. Retrieved on March 31, 2009. ^ U.S. Army, Redstone Arsenal, Alabama. History. "A Chronology of African American Military Service. From WWI through WWII. Part II Archived 2008年5月28日, at the Wayback Machine.". Retrieved on March 5, 2009. ^ Allen, The Port Chicago Mutiny, 66. ^ U.S. Navy Historical Page. Frequently Asked Questions. "Port Chicago Naval Magazine Explosion on 17 July 1944: Court of Inquiry: Finding of Facts, Opinion and Recommendations, continued...". Page 4d. Retrieved on May 7, 2009. ^ Seligson, Tom (February 6, 2005). “Isn't it Time To Right The Wrong?”. Parade (Advance Publications). http://www.parade.com/articles/editions/2005/edition_02-06-2005/featured_1 2008年12月12日閲覧. "None of the black sailors were granted leaves... I requested 30 days of leave, which you’re entitled to if you’re wounded. I was turned down." ^ Allen, The Port Chicago Mutiny, 70. ^ Allen, The Port Chicago Mutiny, 72. ^ a b c Bell, Naval Mutinies of the Twentieth Century, 203. ^ Allen, The Port Chicago Mutiny, 71. ^ Allen, The Port Chicago Mutiny, 67. ^ a b c Allen, The Port Chicago Mutiny, 90. ^ Allen, The Port Chicago Mutiny, 91. ^ a b Allen, The Port Chicago Mutiny, 81–82. ^ Allen, The Port Chicago Mutiny, 82–84. 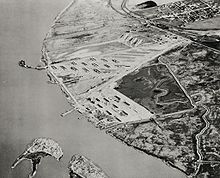 ^ a b c Allen, The Port Chicago Mutiny, 86. ^ Allen, The Port Chicago Mutiny, 87–88. 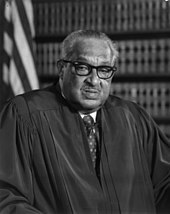 ^ This preceded the advent of the Uniform Code of Military Justice, which became effective on 31 May 1951. ^ Allen, The Port Chicago Mutiny, 127. ^ Allen, The Port Chicago Mutiny, 126. ^ Allen, The Port Chicago Mutiny, 92–93. ^ a b Allen, The Port Chicago Mutiny, 94. ^ Allen, The Port Chicago Mutiny, 98. ^ a b Allen, The Port Chicago Mutiny, 96. ^ Allen, The Port Chicago Mutiny, 99. ^ Allen, The Port Chicago Mutiny, 101. ^ Allen, The Port Chicago Mutiny, 102. ^ Allen, The Port Chicago Mutiny, 102–103. ^ Allen, The Port Chicago Mutiny, 104. ^ Allen, The Port Chicago Mutiny, 106, 112. ^ Allen, The Port Chicago Mutiny, 106–107. ^ Allen, The Port Chicago Mutiny, 108. ^ Allen, The Port Chicago Mutiny, 116. ^ Allen, The Port Chicago Mutiny, 116–118. ^ Allen, The Port Chicago Mutiny, 118. ^ Allen, The Port Chicago Mutiny, 118–119. ^ Allen, The Port Chicago Mutiny, 119–120. ^ Allen, The Port Chicago Mutiny, 120–121. ^ a b c Allen, The Port Chicago Mutiny, 122–126. ^ Allen, The Port Chicago Mutiny, 126–127. ^ Allen, The Port Chicago Mutiny, 128. ^ a b Allen, The Port Chicago Mutiny, 131. ^ a b c d e Allen, The Port Chicago Mutiny, 132–133. ^ Allen, The Port Chicago Mutiny, 133–134. ^ Allen, The Port Chicago Mutiny, 135. ^ a b Wagner et al., The Library of Congress World War II Companion, 856. ^ Astor, The Right to Fight, 266. ^ Schneller, Breaking the Color Barrier, 160–162. ^ “Navy Won't Void A Courts-Martial”. The New York Times. (1994年1月9日). http://query.nytimes.com/gst/fullpage.html?res=9E0CE0DF1431F93AA35752C0A962958260 2008年12月18日閲覧. "In response, the four lawmakers said in a statement: "We believe that the Navy did not apply a broad enough view to this extraordinary case. We will continue to search for other means to address this issue in the belief that the surviving sailors and their families and the families of those now deceased deserve the chance to clear their names." The four who asked that the Navy review the case with a view toward erasing an unsavory chapter in Navy history were Representatives George Miller, Pete Stark and Ronald V. Dellums and Senator Barbara Boxer." ^ Allen, The Port Chicago Mutiny, 184. ^ Allen-Taylor, J. Douglas (2004年7月30日). “Local Residents Remember Port Chicago Mutiny”. Berkeley Daily Planet. http://www.berkeleydailyplanet.com/issue/2004-07-30/article/19346?headline=Local-Residents-Remember-Port-Chicago-Mutiny 2009年3月5日閲覧。 "While the pardon was an important thing to do, and called attention to the injustice, a pardon is like saying, “You did something wrong, but we are going to forgive you for it.” But whatever it was that you may call it, there was not a mutiny. There was never an attempt to usurp military authority. I think of it as a strike, or a protest at the unsafe working conditions and the racial discrimination on the base. And the trauma itself was passed on in the families. So even for today it’s important to have these convictions set aside. For the surviving families, but also for the historical record. "—Robert L. Allen. ^ Department of the Interior. September 27, 2007. "Statement of William D. Shaddox, ...National Park Service, ...Concerning H.R. 3111... Archived 2009年5月9日, at the Wayback Machine.". Retrieved on March 4, 2009. ^ 110th Congress, 1st Session. House of Representatives. ""110_cong_reports&docid=f:hr506p1.110 Rept. 110-506 (to accompany H.R. 3111)". Retrieved on March 4, 2009." ^ OpenCongress.org. 110th Congress, Second Session. "S.3253: Port Chicago Naval Magazine National Memorial Enhancement Act of 2008 Archived 2012年9月6日, at Archive.is". Retrieved on March 4, 2009. ^ 111th Congress, 1st Session. "H.R. 1044: Port Chicago Naval Magazine National Memorial Enhancement Act of 2009". Retrieved on March 4, 2009. ^ National Park Service. Port Chicago Naval Magazine National Memorial. "Directions". Retrieved on March 4, 2009. ^ a b Allen, The Port Chicago Mutiny, 178. Allen, Robert L. (2006). The Port Chicago Mutiny. Berkeley, CA: Heyday Books. ISBN 9781597140287. http://books.google.com/books?id=2jl6cyAy6u8C. Astor, Gerald (2001). The Right to Fight: A History of African Americans in the Military. Da Capo Press. ISBN 030681031X. http://books.google.com/books?id=zXF1bhMrO5MC. Bell, Christopher; Bruce Elleman (2003). Naval Mutinies of the Twentieth Century: An International Perspective. Routledge. ISBN 0714684686. http://books.google.com/books?id=kWcY7Pzq8M8C. Guttridge, Leonard F. (1992). “Port Chicago”. Mutiny: A History of Naval Insurrection. Naval Institute Press. ISBN 0870212818. http://books.google.com/books?id=Hk9-IMRGtbcC. Jones, Ray; Joseph Lubow (2006). Disasters and Heroic Rescues of California. Globe Pequot. ISBN 0762738227. http://books.google.com/books?id=lxPtLG_P13YC. Schneller, Jr., Robert J. (2005). Breaking the Color Barrier: The U.S. Naval Academy's First Black Midshipmen and the Struggle for Racial Equality. NYU Press. ISBN 0814740138. http://books.google.com/books?id=sUbOGrfl8ZUC. Wagner, Margaret E.; Linda Barrett Osborne, Susan Reyburn, Library of Congress staff (2007). The Library of Congress World War II Companion. Simon & Schuster. ISBN 0743252195. http://books.google.com/books?id=0bRaa7UuD6EC. 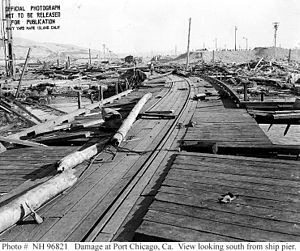 Port Chicago Mutiny—A National Tragedy. San Francisco: KRON-TV.. http://mic.loc.gov/public_portal/public_collectionsdetails.php?search=matic&recnum=812&maxrecnum=1283&fields=&portal= 2009年3月4日閲覧。 [リンク切れ] Will Robinson and Ken Swartz produced a documentary about the explosion and trial, interviewing mutiny convict Joe Small and his defense lawyer Gerald Veltmann as well as Percy Robinson, a seaman who returned to loading ammunition after the first work-stoppage and Robert Routh, Jr., a seaman who was blinded in the blast. Danny Glover provided narration for the story which included dramatized scenes depicting events as they might have occurred in 1944. The documentary was nominated for the Peabody Awards and won an Emmy Award. Mutiny. http://www.imdb.com/title/tt0181769/ 2009年3月4日閲覧。 The story of the Port Chicago 50 was the subject of the TV film Mutiny which was written by James S. "Jim" Henerson, directed by Kevin Hooks and included Morgan Freeman as one of three executive producers. Port Chicago. http://www.imdb.com/title/tt0613331/ 2009年3月4日閲覧。 The disaster was featured in an episode of the television drama series JAG. The episode was titled "Port Chicago".